SALT LAKE CITY (AP) — Former GOP presidential nominee Mitt Romney is stumping for fellow Republican candidates as he sails toward a likely victory Tuesday in the race for a U.S. Senate seat from Utah and a return to public office. 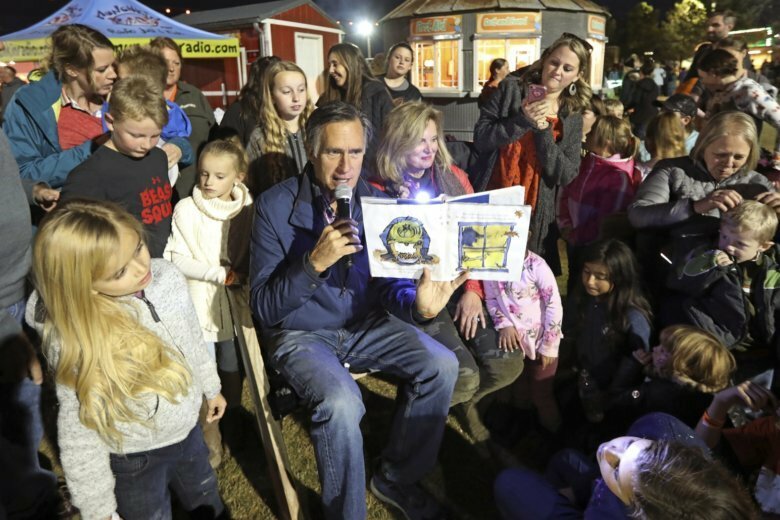 The next evening, he read scary stories to children at a corn maze in Lehi, Utah. He and his wife, Anne, sat around a small bonfire with over 100 children and adults. Mitt Romney also judged a pumpkin pie-eating contest at Cornbelly’s Corn Maze and Pumpkin Fest. Romney’s opponent, Democrat Jenny Wilson, also is working the phones and canvassing for her party’s slate. She has criticized Romney’s Arizona appearance as evidence that he’s more focused on national politics.